As the technology has progressed exponentially over the years, it has impacted and changed the course of many industries. Before the innovation of ip cameras, the analog cameras served the security industry for decades. Although IP cameras are in service for quite a long for now, still there is very less information regarding how these cameras operate. This is because the system involved in the understanding of its working is quite complicated which require users to be tech as well as internet literate. The effect compounds when complicated terminologies are used to define the basic operational functions of these cameras. The main purpose of this article is to explain the basic difference between the analog and IP cameras and how they operate. If we start comparing the picture quality of an IP camera with the best available analog camera, the IP camera will still win by miles. This is because the video and the picture quality were so pathetic that the users couldn’t differentiate in the video as to who was who. Analog CCTV cameras captured the images and recorded the videos using not more than 1 mega pixel which explains the low image quality of these. On the other hand, the IP cameras produced better and sharper quality of the images and video footages. Also they recorded video at wider angles covering more space than before. This all means that a single IP camera can do the work of 3 or 4 analog cameras. No wonder why it is so much preferred nowadays. This means you can now flag some particular events which have been recorded by your cameras. Now, instead of watching the hours of videos, you can tell your network to take you straight to the time when the particular event happened by cutting the extra crap. In ancient times, the analog cameras had to be connected directly to the DVR. The IP cameras have now greatly reduced the cost and efforts involved in assembling the wires. They can now be connected to the network via Wi-Fi or single wire called network video recorder. On the other hand if you want greater flexibility, you can PoE (power over Ethernet) which enables your cat5 or cat6 cable to provide the internet as well as power supply to your cameras. These types of cameras are static in nature and are fixed at one place. If you want to focus a single or small area of space, this type of camera is ideal for you. This comes without any lens so you have to purchase an extra on for that. The lens of this type of camera has to be placed manually wherever you have to focus. These cameras offer day and night capabilities where you can focus even in the low lighting conditions. Its wide camera lens captures the video at wide angles which means that foreground and background are both in focus. The models which are used outdoors are made from tough materials so that it can withstand extreme atmospheric conditions. These cameras are also designed to focus at the desired location like cameras but these have far better zooming and range qualities than dome cameras. These cameras can better withstand the weather conditions than dome camera. One thing these cameras lack in is the design which makes them vulnerable to be exploited. Unlike dome cameras, these cameras don’t have housing on top which shows exactly the place where these are focused. This can weak spot can be used to judge the blind spot of the camera which is not a good thing at all. This camera is supposed to be the one stop for security cameras system. While dome, box and bullet cameras were adjusted manually to focus at one point, PTZ (point to zoom) are remotely controlled to look at whatever you want and whenever you want. These cameras have 10x and 20x zooming range which make them top choice for the customers. There may be a little bit higher cost involved in the installation and purchase of the IP cameras but the work done by them is much more than the analog cameras. 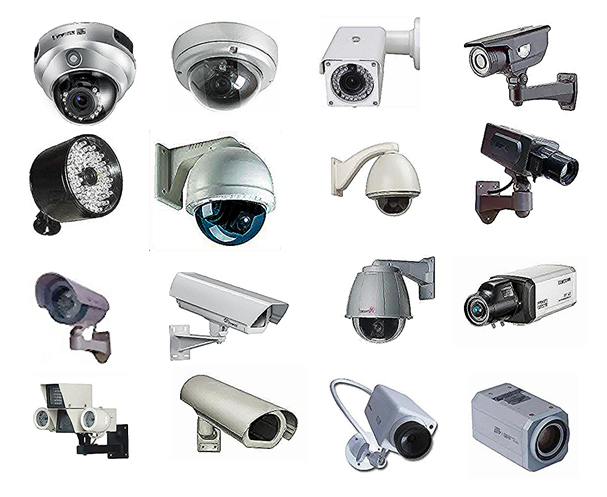 A single IP camera can do the work of 4 analog cameras and its zooming quality is far better than the analog cameras. So you may be paying more for a single camera but ultimately the cost covered by that single unit is more than the analog cameras combined. So if you are looking for surveillance camera, look for IP cameras next time and if you have analog cameras installed, just know that these cameras are quickly becoming outdated.